Because piezo actuators and a mirror substrate in conventional deformable mirrors were bonded with epoxy glues, this caused problems such as organic gas emission in a vacuum chamber and denatured bonding materials due to chamber cleaning at high temperatures. Thus, the use of a deformable mirror was performed only in ambient atmospheres. The team led by Kazuo Yamauchi invented a method for bonding PZT actuators to a mirror substrate without using epoxy glues to develop a glue-free bimorph deformable mirror (Figure 1), allowing for usage of deformable mirrors under vacuum. 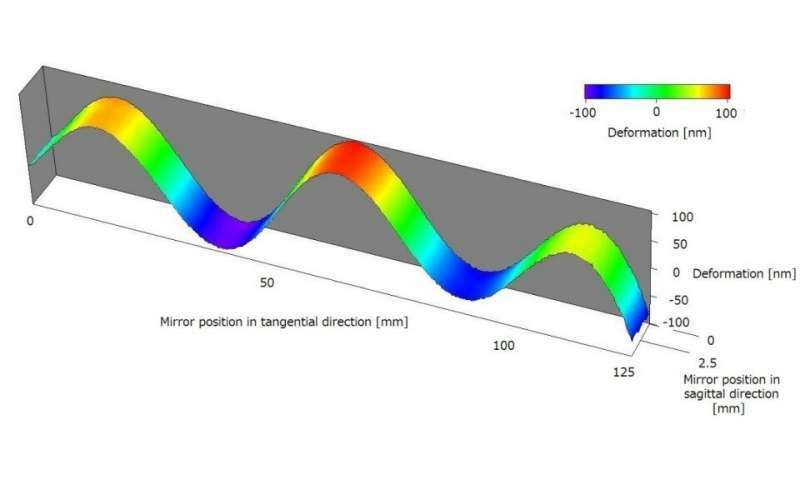 In this study, they developed a technique to bond PZT actuators to a mirror substrate by using inorganic silver nanoparticles (not containing organic matter). They confirmed that the emission rate of organic gas was at an acceptable level: the vacuum chamber was not contaminated by the gas while maintaining the same level of operability as that of conventional mirrors. This group's achievements will permit a maximal use of 100-1,000 times brighter X-rays provided by fourth-generation synchrotron radiation facilities than that of current third-generation facilities. 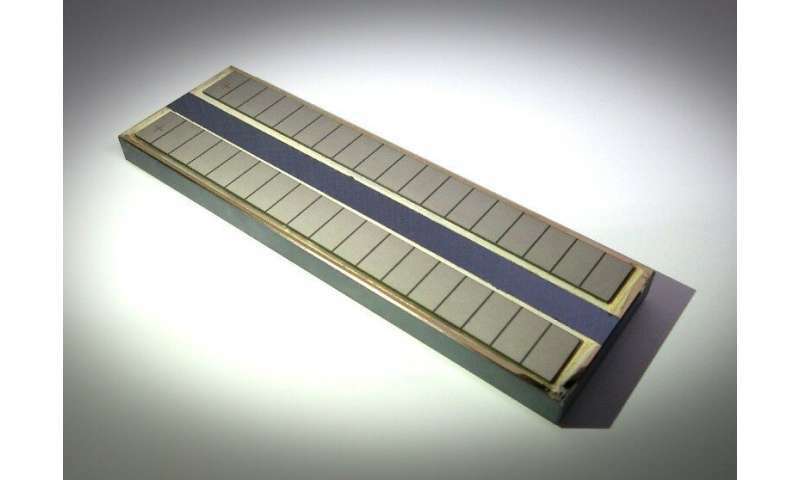 This mirror will be used in X-ray experiments and soft X-ray systems, both of which need a high vacuum environment, for the fourth-generation large synchrotron radiation facilities in which precision optics under vacuum are indispensable. "Our bimorph deformable mirror will be used in a variety of applications—not only for X-ray radiation systems, but also for controlling space telescopes and high intensity lasers," says first author Yoshio Ichii.